SoundCloud is one of the most popular Music Sharing Website which provides an excellent platform to share customized music. The uploaded music can be shared among all SoundCloud users or with particular group like family members or friends. Music once uploaded will receive comments and this will popularize music among vast number of SoundCloud users. 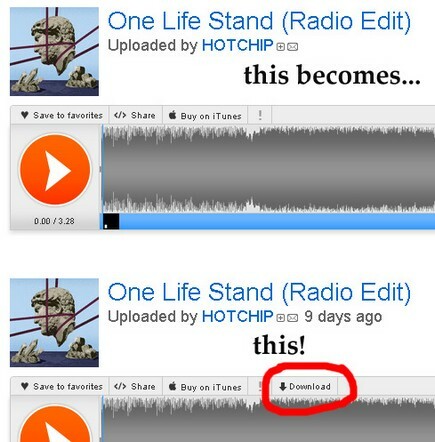 Once installed, a Download Button will appear at the Left top of the SoundCloud Player.